Earlier this week, search engine giant Google decided to go for the kill against the independent media. It all started with the takedown of Breitbart News Editor Milo Yiannopoulos, who was forced to resign from the paper over some statements he made in the past that seemed to imply that he was in favor of pedophilia — an accusation he vehemently denies. Now, the world’s most evil purveyor of information is going after Natural News, having pulled the entire site and all of its subdomains from the search engine entirely, meaning yours truly will no longer show up in online searches made through the Google platform. During a recent interview on the Robert Scott Bell Show, Natural News’ Mike Adams, the Health Ranger, explains what went down in the days leading up to Google’s blacklisting of Natural News. After being told by an unnamed source to take down Infowars’ Alex Jones or else face consequences, Adams did the right thing by refusing to slander his partner in crime on the independent media front — and just as promised, Adams is now paying the price in the form of blatant censorship. As of February 22, more than 144,000 pages of content on Natural News have vanished completely from Google’s search engine platform. Not only does performing a search for Natural News content turn up nothing from the site, but even searches for other popular topics that at one time turned up front-page content — topics like superfoods and vaccines, for instance — are now showing nothing on Natural News. In other words, in the world of Google, Natural News no longer exists, and there’s no telling if or when it will ever re-emerge. You don’t have to agree with all of the information provided on Natural News to recognize that allowing its purveyance is called freedom. 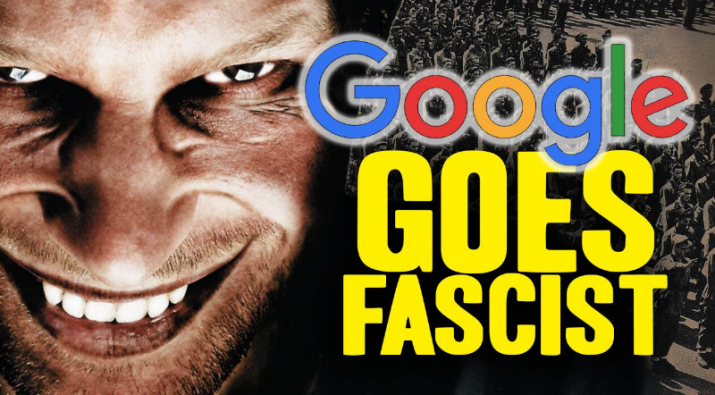 What Google is doing, on the other hand, is called censorship, and it has no place in a free society. Natural News hasn’t broken any rules other than challenging the official narrative on things like vaccine safety, Big Pharma, the Trump presidency, and other pertinent issues. You see, Google wants to keep the public in the dark about the dangers of mercury in vaccines, for instance, and it can’t do that if Natural News is publishing articles exposing these dangers. Google also apparently wants Natural News to do the bidding of the globalists who want nothing more than to remove President Trump from office — and as long as President Trump keeps his campaign promises and follows the Constitution, Natural News isn’t going to advocate for this, either. Failing, bought-and-paid-for media outlets like CNN and MSNBC simply can’t compete with the truth coming from media outlets like Natural News and Infowars. So their only option is to team up — or so it appears — with the movers and shakers in digital information distribution to silence all competition and continue peddling “fake news” to whomever will receive it.